Applications are invited from suitably qualified persons for the appointment as University Relations Officer. • The University Relations Officer is the Head of the University Relations Office. 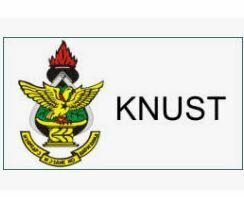 o supervise the development and execution of content for website and social media platforms of the University and serve as a liaison officer between the University and the KNUST Global Alumni Association. • A person with the ability to exercise sound judge, exhibit high sense of initiative and managerial skills. • Salary and Conditions of Service are very attractive. • Interested Candidates are requested to submit an Application Letter together with TEN (10) copies of the Curriculum Vitae, including Names and Addresses of Three (3) Referees. • Only shortlisted applicants would be contacted.